Interested in a career in Commercial Real Estate? Find out why RE/MAX is one of the World's Leading Commercial Networks . . . and now, RE/MAX Top Realty Commercial Division offers the best opportunity in the industry to join this growing network. Did you know that RE/MAX is one of the Top 25 Commercial Real Estate Networks in the World? 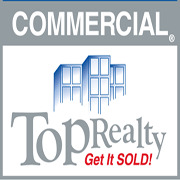 The RE/MAX Top Realty Commercial Division has met the strict education and experience requirements of the RE/MAX organization. It makes The Top Office, as we call it, one of only four RE/MAX affiliates in Houston to have an official Commercial Division. Call Timothy Hampson for more information at 713-558-2555.